The members of the 2015 Financial Analyst Program were selected from hundreds of applicants - to now learn the finer details of being a Financial Analyst. 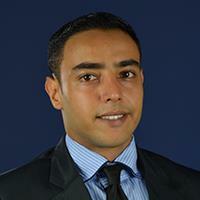 Abdulrahman has over 5 years of experience in the finance and accounting industries. 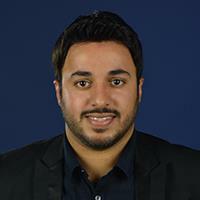 Abdulrahman currently attends Florida Atlantic University pursuing his Master of Science in Finance (MSF) degree, along with a Master Certificate in Risk Management and Insurance, and enrolled in the Financial Analyst program. He is also a Level 1 candidate for the Chartered Financial Analyst® (CFA®) exam. 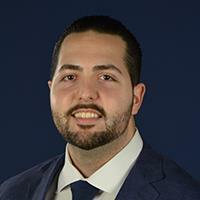 Abdulrahman completed his Bachelor of Science degree in Business Administration at La Salle University in Philadelphia, PA, double majoring in finance and accounting. While attending La Salle University, he completed two internships, as an accounting analyst, for international companies based in Austria. Based on his demonstrated success and aptitude in the field, Abdulrahman was awarded a full scholarship to further his education in finance. Upon graduation, Abdulrahman looks forward to accepting new challenges in the financial services industry, providing him with the opportunity to leverage his increased analytical and interpersonal skills gained during his professional and academic experiences. 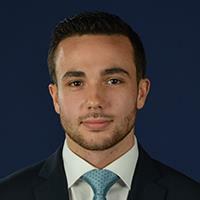 Nicholas Alvarez is currently working towards a Bachelors of Science in Finance and a Bachelors of Science in Business Economics at Florida Atlantic University. 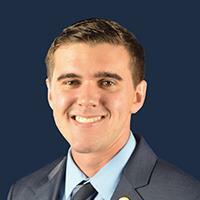 He is planning on sitting for the Chartered Financial Analyst designation upon graduation from FAU. With his skills, he plans on working in the financial industry. 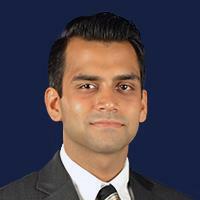 Tarun Aswani received his undergraduate degree with a Bachelors of Science in Finance and a Certificate in Risk Management. Upon Completion of a Masters of Business Administration with a Concentration in Finance, Tarun looks to begin preparing to for the CFA exam to eventually obtain the designation. Tarun is enrolled in the Financial Analyst Program to further his learning of the financial analyst business environment. Currently Tarun is an intern at Noble Financial Capital Markets working as an equity research analyst. His role entails detailed research of company’s financial statements in order to obtain a proper understanding of the firm and its industry. Jason Coz was born and raised in Queens, New York. His interest in Finance was sparked through the Global Financial Crisis of 2008, where he dove to gain a deeper understanding of market analysis. He is currently enrolled in FAU’s undergraduate program and is expected to receive his Bachelor’s Degree in Finance in the Spring of 2016. Upon completion of the Financial Analyst Program, Jason intends on testing for the CFA exam in June 2016 and pursuing his MBA. In addition to school and work, Jason enjoys participating in sports. 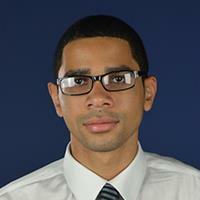 Jason is the treasurer and vice president for a recreational basketball league in Coral Springs. Born in Venezuela, Gian Mauro Di Boscio, comes from a diverse occupational background ranging from coaching to management and sales. His love for finance arose during his junior year at FAU when he began to trade equities. After completing his B.B.A. in Finance in 2015, he had a strong desire to deepen his understanding of financial analysis, market research and analytics. After completion of the Analyst Program, Gian intends to obtain his M.S.F. (Masters of Science in Finance), as well as the CFA (Chartered Financial Analyst) designation. James Engstrom was born in Miami, FL. He found his passion for business, accounting, and finance from his father, the executive vice president of a passenger ship management company. In 2013, James moved to Boca Raton and enrolled at Florida Atlantic University to complete Bachelor’s degree. He chose to major in accounting and became a part of the Accounting Scholars Program. In the spring of 2015, James secured and completed an internship with PricewaterhouseCoopers, a leading public accounting firm. Currently a senior, James will graduate in December 2015 with honors. 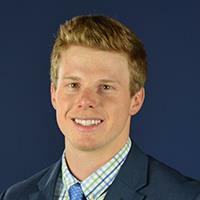 He plans to begin his Masters of Accounting with FAU in January 2016. He currently plans to return to PricewaterhouseCoopers upon completion of his Masters. James joined the Financial Analyst Program to broaden his finance knowledge and his professional network. While enrolled, James plans to complete both the CPA and CFA exams for a wide range of opportunity within both finance and accounting. Oscar Isoba was born in Englewood, New Jersey, but lived in Cooper City, Florida for a majority of his life. 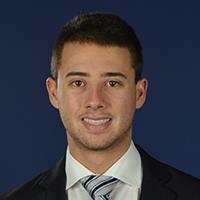 He is currently a dual finance and marketing major at Florida Atlantic University. Currently, he is participating in the Financial Analyst Program and completing his final semesters for his undergraduate degree. He is currently a Finance Associate at Modernizing Medicine, an intelligent electronic medical records technology company. The software provided by Modernizing Medicine is constructed to think like a physician to maximize outcomes and efficiencies. He joined the Financial Analyst program to increase his knowledge in finance in general and to open up opportunities for his future career path. Adam holds a Bachelor’s degree in Finance, is currently a student in the Financial Analyst Program and a CFA level I candidate. 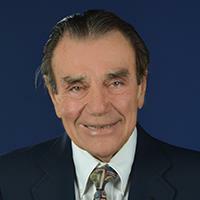 He acquired practical experience and knowledge in the sales, hospitality management, international trades and venturing disciplines throughout his career. Inspired by the complexity of wealth allocation and maximization in the economy as well as witnessing the recent global financial meltdown, Adam took a keen interest in the subject and majored in Finance. Adam envisions a career in investments, believing in a greener, more fluid and more sustainable economy. Starting my business career with a stock broker in Providence RI upon graduation from Tufts University, I trained as a sales rep, earning my series 7 & 6 licenses. One year later I was accepted into the MBA program at Columbia University. I relocated to NYC but retained part-time status in the brokerage firm, which had an office there, where I assisted the research analysts. I majored in finance with a minor in real estate at Columbia, back when “Excel” was just a verb, not a spreadsheet. For many years after, I held an exciting job with a commercial real estate firm in RI, which was developing, syndicating partnerships and engaging in sales and investments. My primary duties included liaison with subsidized housing development under construction in northern RI. I was also responsible for screening new opportunities, assisting in structuring deals and working with the firm’s sales/rental department to implement the marketing plan. While visiting the quaint historic seaside town of Newport RI, I learned the city was undergoing major economic upheaval. The U.S. Navy had just relocated its entire Atlantic Cruiser Destroyer Force from there to Norfolk VA and points south, resulting in the loss of 1/3 of Newport’s population of 45,000 with consequent collapse in real estate values. Amidst the economic loss, I perceived exciting opportunities and left my job to start my own real estate firm. From a basement office on Newport’s famed Bellevue Avenue, equipped with just a rented desk and phone, I began brokering property for sale and rent, specializing in investment deals. Through numerous partnerships, we developed and sold condominiums as well as holding income property for tax benefits, in particular Historic Tax Credits. Observing a scarcity of Realtors adequately trained in my specialty, I formed The Bellevue Real Estate School to fill that niche. After expanding the curriculum, it became the largest real estate school in southern RI. Through another division of the company, we devised ways to collect realty data at the town hall level using a unique, portable microfilming camera to copy public records. Utilizing our primitive computers of the day, we recycled/reconfigured the raw data, selling it to insurance companies throughout southern New England, filling their expansive need to prospect new homeowners’ policies. For more than thirty years, I built the company into one of the largest and most highly regarded in the area. Known for our marketing expertise, we were the first in the area to have a website with an interactive database, successfully utilizing Google Analytics. Four years ago, I sold the business while retaining the income real estate as well as managing my own investments and maintaining an active appraisal license. On the personal side, I have two children who now live in North Carolina with my six grandchildren. We have enjoyed summers sailing/cruising the waters from Newport to Nantucket and the Islands. While exploring Florida’s Treasure Coast, I became intrigued by FAU’s Financial Analyst program, which suggested new opportunities to enhance my financial skills in furtherance of my interests in real-estate and investments. Shahidur came to the United States in 2006 and has been working at a Walgreens company in West Palm Beach. While working in retail, he decided to acquire advanced knowledge in business and joined the EMBA program at FAU in 2014. At the end of his program he joined the Financial Analyst Program to increase his financial knowledge because Finance is the rule of business. 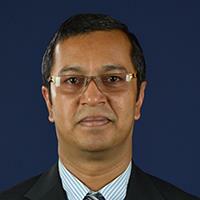 He has a Masters in Business Administration and Masters in Management from Bangladesh. He believes the combination of Managerial and Financial knowledge will open doors in practical business world. Yettie Oguntuase recently received a Bachelor’s degree in Accounting and Taxation. She is currently employed by Specialist Technology Corporation, a consulting firm that specializes in Oracle financials implementation, as a Business Analyst. 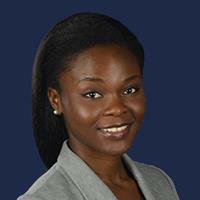 Presently, Yettie is pursuing her MBA with a specialization in Finance at Florida Atlantic University. Looking to pursue her passion for Finance, she joined the Financial Analyst Program to gain the necessary skills to succeed in her career in the Accounting/Finance industry. 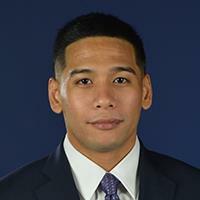 Rodney Piiru is currently an undergraduate student at Florida Atlantic University on pace to completing a Bachelors of Business Administration in Finance with a minor in Economics. He is expected to graduate with honors in May 2016. 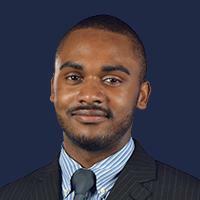 Rodney joined the Financial Analyst Program to improve his financial knowledge and skills. Upon graduation, Rodney plans to begin testing for the Chartered Financial Analyst certification, and begin a career as a Financial Analyst. As of August 2015, Eric has obtained his MBA in finance and has remained a proud student/alumni of FAU for the past 6 years. During his undergraduate work, Eric pursued an internship with Morgan Stanley’s Wealth Management division which ultimately led to the start of his current career in finance in South Florida. During his internship at Morgan Stanley, Eric observed various high net worth client asset allocations and assisted in daily operations by managing his group’s client base. Presently, Eric maintains working relationships with several investment banks as well as institutional fixed-income trading firms within the South Florida region, and is currently in the process of obtaining his Series 7 & 63 licenses. Eric also plans on pursuing either the CAIA Level – I or CFA Level - I designation upon completion of the Financial Analyst Program during the Spring of 2016. Born in Paris, France, Sylvain came to the United States at age 19 to learn English at Florida Atlantic University. Based on this great experience with the school and the city of Boca Raton, he decided to stay and completed his undergraduate degree in International Business with a Minor in Marketing at FAU. After graduation he pursued an MBA including two specializations (Entrepreneurship and Finance) where he is planning to graduate in fall 2015. 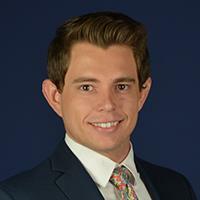 Bradley Schwartzmann is an honors student at Florida Atlantic University where he is currently pursuing a Bachelor’s Degree in Finance as well as a minor in Real Estate Finance. He will be completing his last two semesters while simultaneously participating in the Financial Analyst Program, and is expected to graduate in May of 2016. Upon completion of the Financial Analyst Program, Bradley plans on obtaining his Chartered Financial Analyst designation while working in the Finance Industry. As a Florida native, I decided to start my higher education at FAU because of the rich environment of south Florida. While being an undergraduate junior, I have learned that it is most essential to always strive for the higher standard. Initially majoring in computer engineering, the change to finance has been my most rewarding decision. The world of finance quickly caught my eye because of the vast opportunity presented everywhere one may travel. These opportunities, paired with the technological aspect of the field, made for the perfect career to create a concrete set of goals for which I know can be achieved. Joining the financial analyst program will in fact provide me with the skillset to offer high standards of excellence both in the workplace and in everyday life. Marcus is currently in his final year pursuing a Bachelor of Business Administration (BBA) in Finance with a minor in Economics at Florida Atlantic University. To strengthen his analytical and financial skills as well as increase his competitiveness in the job market upon graduation, Marcus is participating in the Financial Analyst Program. After graduating, he plans to achieve the Chartered Financial Analyst designation, obtain an MBA at a school in a major U.S. financial district, and become a Financial Analyst. 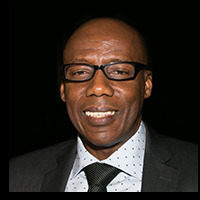 Rainford Knight’s experience spans both academia and industry. 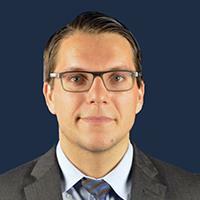 His academic career started as an Assistant Professor of Finance at Fairleigh Dickinson University (FDU) in Madison, New Jersey and then as a mergers and acquisitions senior manager in the financial services industry. Knight has over 15 years of practical experience in financial/investment analysis in the areas of mortgage pool analytics, traditional and alternative portfolio construction and management, Investment management education and mergers and acquisitions. Knight has been an advisor to CEOs of small to midsize companies on a variety of corporate finance related issues. He has been a valuation consultant to the venture capital industry working with individual start-ups, as well as an incubator/accelerator. As an entrepreneur, Knight has been a co-founder or partner in several companies in industries as diverse as software development, real estate distressed debt, hospitality, investment management and educational training. 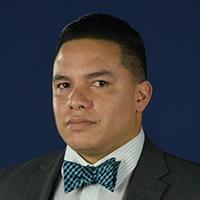 Academically, Knight is a member of the finance faculty at Florida Atlantic University. He has also been an instructor for the chartered Financial Analyst (CFA) designation and has been a speaker or moderator at a number of hedge fund industry conferences covering a wide range of topics from institutional due diligence to counterparty risk. He has been quoted in finance publications such as Institutional Investor. He holds a PhD in Finance from FAU. Click to view information about the program participant.